This product is ripened in two different ways, and this provides two taste sensations. This is far from common in the cheese universe. 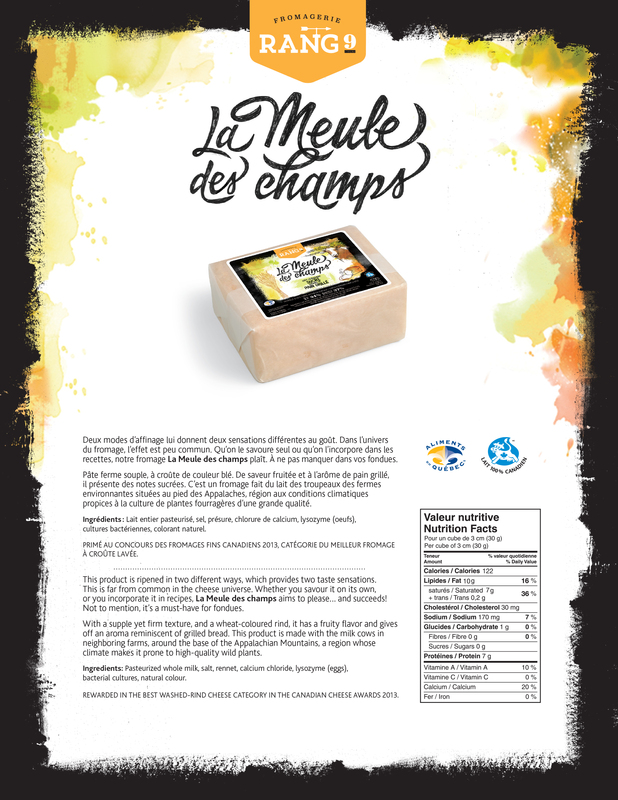 Whether you savour it on its own, or you incorporate it in recipes, La Meule des champs aims to please… and succeeds! Not to mention, it’s a must-have for fondues. With a supple yet firm texture, and a wheat-coloured rind, it has a fruity flavor and gives off an aroma reminiscent of grilled bread. This product is made with the milk cows in neighboring farms, around the base of the Appalachian Mountains, a region whose climate makes it prone to high-quality wild plants. 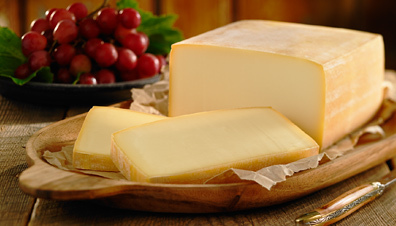 Rewarded in the Best Washed-Rind Cheese category in the Canadian Cheese Awards 2013.